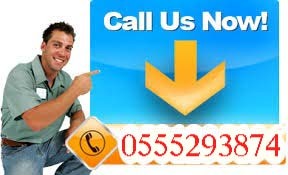 Automatic Garage Door Repair Company in Dubai Did your automatic garage door stop functioning all of a sudden? If the answer is yes then it is essential for you to have it repaired as soon as possible, considering the importance it holds. The professionals of an automatic garage door repair company need to be skilled at the job that they are required to perform. If they are not suitably skilled, it just means that they will not be able to repair your automatic garage door in the best possible manner. Remember: skill of the contractor counts the most, if you want to receive the best bang for your buck! A quality contractor for automatic garage door repairs should not only be skilled but professional as well. What this means is that they should be mindful of their conduct. For instance, if you have got a broken garage door, it is only natural for you to want it to be fixed as soon as possible. A professional contractor in Dubai will understand your need and do everything in their power to ensure that your predicament is catered to at the earliest. The ultimate aim of a contractor should not be to make money; rather it should be to serve the customers. Only such a professional repairman will go out of their way to ensure that their customers have the best possible experience with them. From the tone of the person to free tips, the possibilities are endless when it comes to providing the customers with top quality support and service. When you take it all into perspective, you have got to say that finding a company that ticks all the boxes is bound to be tough. However, A & E Garage Doors has got the needs of the people of Dubai well covered, in this regard! Curtains Fitting in Dubai.